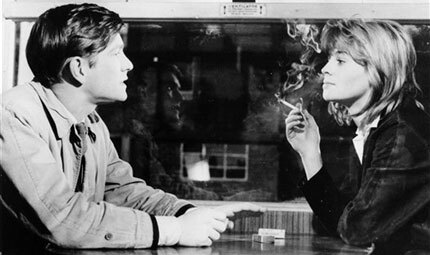 For one night only, Manchester’s Cornerhouse Cinema has a rare big-screen showing of John Schlesinger`s British new wave/kitchensink classic Billy Liar. A real gem of the 60s, with Tom Courtenay playing Billy Fisher, an undertaker’s clerk who dream of escaping his dull existence and his web of lies by running away to London. When he gets the chance to leave for London with Liz (Julie Christie), he has to decide whether to keep living in his dreamworld, or to turn these dreams into reality. The single showing is Monday November 20th at 6:30pm. I’ll see you there.